A small family fishmongers located in the heart of Crumlin, we helped them to reposition their business through their brand image, allowing them to engage with a wider demographic and introduce new products to market. Starting with the name and identity, we changed them from JL Fitzsimons to Fitzsimons Family Fishmongers, which enforced the family and artisan aspect of the business. 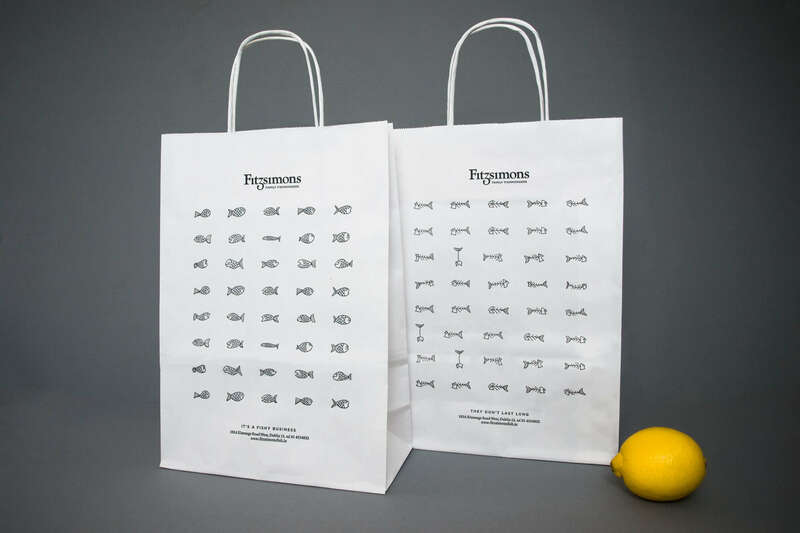 Using a simple black and white palette for impact and budgetary restrictions, we chose a set of simple yet quirky fish illustrations which appeal to all age groups to give the brand an injection of charm and which work as a consistent element across all collateral from store exterior to packaging, livery and digital. The project included the design of promotional material, shop fitout, signage and website.